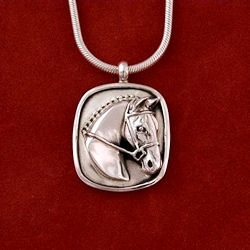 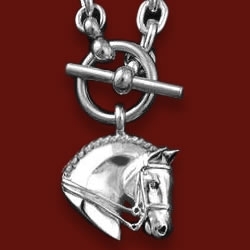 Hunter/Jumper braided horse head pendant on a 16″, 18″ or 20″ sterling snake chain. 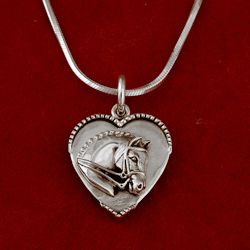 Frame measures 1″ wide by 1-1/4 long. 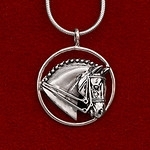 Perfect for you or a gift for someone special.